I’ve attended 20 swimming conferences over the last 10 years in six different countries. But this year’s Nordic Baby Swimming Conference held in Selfoss, Iceland was a first. A first in that one of the speakers was none other than the country’s president! Guðni Th. 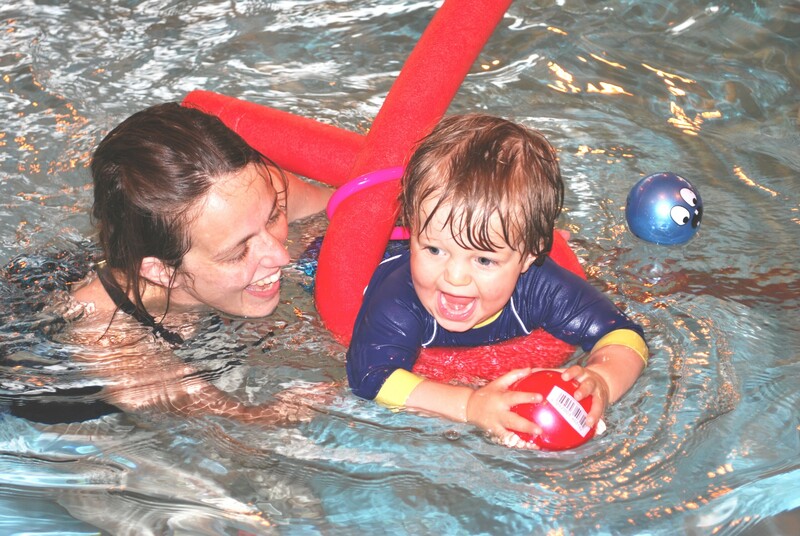 Jóhannesson joined 150 baby swimming teachers from 14 countries, many of them, like me, running their own swim schools. Baby swimming is a subject close to his heart and an activity he sees as instrumental in forming healthy parent-child relationships. 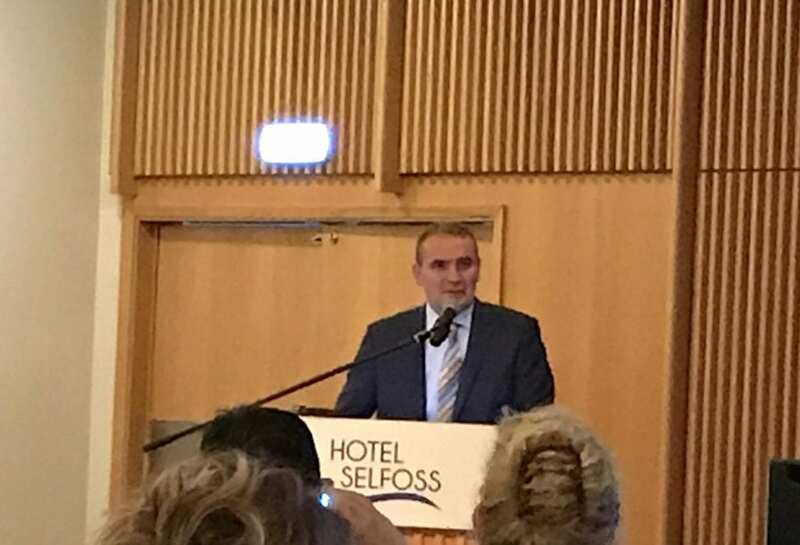 President Jóhannesson explained during the opening session how he’d taken each of his five children to baby swimming classes and of the joy and ability to bond that the sessions had created; describing that time in the water with them as the closest thing to mindfulness. Those gathered at the conference this October, were there for different reasons: some run swimming programmes exclusive to babies and toddlers and some manage learn-to-swim programmes offering baby swimming classes as part of a more comprehensive swimming programme such as the one we run at Blue Wave Swim School. In the main, the sessions over the three days focussed on innovative ways of teaching, more effective session delivery along with child psychology and human physiology. With such a range of activities competing for people’s time and attention these days, making sure parents commit to swimming, in the long run, is a key challenge facing the industry. Rushing from one place to another is one of the issues we face in modern times. With so many interests competing for our attention, parents need to deliberately carve out opportunities to spend quality time with their children to form a healthy parent-child relationship. Ulrika Faerch, author of “Happy Babies Swim”, talked about attachment theory which explains how the parent-child relationship emerges in early-years and influences subsequent behaviours and relationships later on in life. Children with secure attachment feel protected by their caregivers, and children who have a secure attachment to their primary caregiver will grow to be individuals with higher self-esteem and better self-reliance. 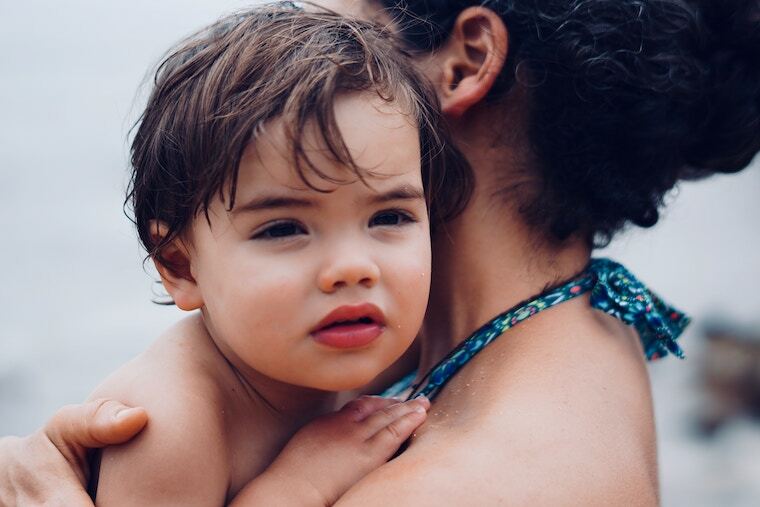 Based on her 25 years of experience as a competitive swimmer, a swim teacher, a swim school operator, and a mother, Ulrika explained how and why water can be a perfect medium for parents and babies to form a secure attachment. You can watch my Q & A with Ulrika on why parents should consider swimming with their little ones and her top tips for nervous parents. Katrin is a native Icelandic but lives and works in Vienna. A clinical psychologist and mother of three, she talked about the power of engaged parenting and why baby swimming could be used as a method or even an intervention in improving parent-child relationships. Katrin explained how scientific studies have shown how parents can foster secure attachment through eye contact, physical touch and conversation, going on to share how baby swimming classes provide plenty of opportunities for those interactions. Babies can have positive eye and skin-to-skin contact and share experiences and social interactions with their prime caregivers (in most cases with their parents). In baby swimming, a parent is the person who has the ability to affect the actions of the child in water and making them feel safe. So her theory is that a beautiful ‘side effect’ of baby swimming could be the trusting relationship which forms in water but can be taken outside of the water too. Unfortunately, these days, long working hours, speedy interactions and an app-searching attitudes have put ‘attachment’ at risk. Karin was very clear to stress that in forming secure attachment the quality of the contacts really matter, more so than the quantity. Small but engaged parent-child time is far better than a large unengaged parent-child time. Robert Strauss is the founder of Swim Gym and has been teaching swimming in Florida since 1973. Since the 80s, he has been also active in the field of aquatic education. His talk at the conference focused on the practical elements of swimming for children aged 0 to 4 years old. His message was that teachers must assist young children to discover the water rather than instructing them how to swim. He explained that although parents always wonder how soon will their babies ‘swim’, the objective of baby swimming is not to actually teach babies to swim. ‘Swimming’ to most adults means: moving arms, kicking legs and blowing bubbles but, parents need to know babies cannot do that. There are anatomical and physical limitations which makes teaching technique at that age impossible. Therefore, lessons for babies and toddlers up to 4 years old, should be game-based, full of fun and concentrated around building a trusting relationship with water. One of the most powerful ways to get your child to love the water is to help them to discover the water with you when they are young. When you help in the process, you become invested in the success of that process so, it’s better to engage parents with swimming through baby swimming lessons. Make good use of lesson time by engaging with parents as a teacher, and explaining the reasons behind your chosen activities. 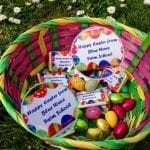 Bring relatable educational material to sessions to get your message across. 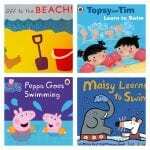 This can help keep parents and children committed to swimming lessons in the long term. Spend time with parents on an individual basis as it can offer useful insights into what their actual needs and objectives are so, get to know the parents! Knowledge sharing within your communities as baby swim teachers is an effective way to engage parents and build trust in your skills/swim school. 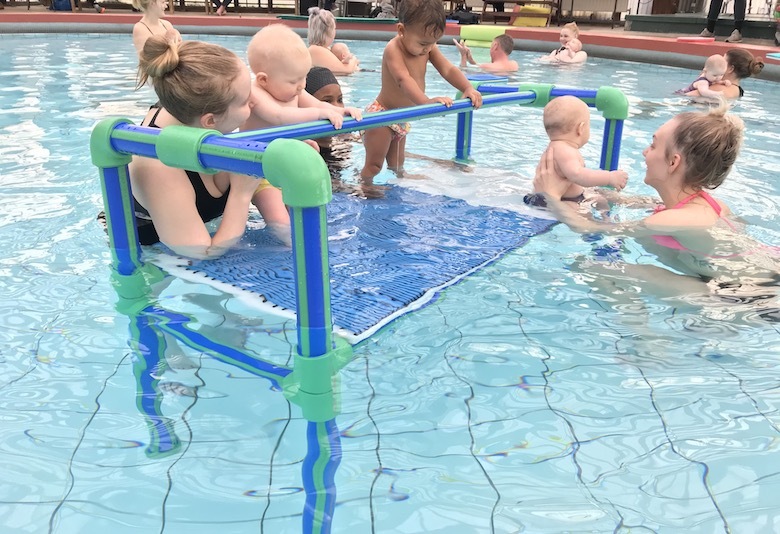 Baby swimming lessons should be fun for babies (and parents) but don’t forget to focus on the opportunity for real connection between parents and babies. If you have any questions as a parent or teacher about baby swimming, please leave a comment here for me and I’ll respond as fast as I can. 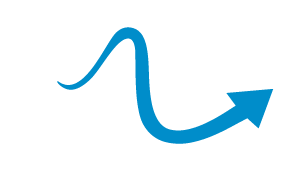 For anyone interested in reading more on this subject: here is the blog I wrote after attending the 2016 Nordic Baby Swimming Conference held in Sweden. Nice Article. Its is really helpful for health and psychological. Thanks for sharing a great stuff.